Laulu-Miehet (L-M) Founded in spring 1914 by a group of alumni of the Helsinki University Chorus (today the YL Male Choir) and the Suomen Laulu mixed choir, Laulu-Miehet are now a choir consisting of former members of student choirs in the Helsinki metropolitan area and other experienced choral singers. Laulu-Miehet were the choir that premiered Jean Sibelius’s celebrated Jääkärien marssi (March of the Jaegers) in 1918 and the hymn version of his Finlandia in 1940. In the course of its history, the choir has performed such major works as Sibelius’s Kullervo and Dimitri Shostakovich’s 13th Symphony, Babi Yar. Laulu-Miehet have given the world premieres of dozens of works, and almost all prominent Finnish composers have dedicated works to the choir. 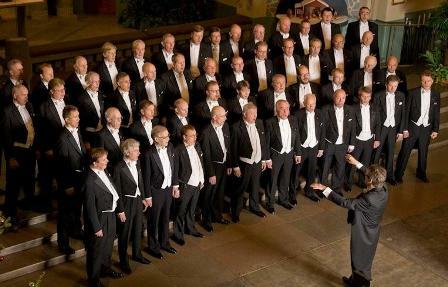 In addition to their discography, Laulu-Miehet have published three collections of the core repertoire of Finnish male voice choirs, Laulu-Miesten lauluja I–III, and other sheet music such as Leevi Madetoja’s Aslak Smaukka for baritone soloist, male voice choir and symphony orchestra. The present repertoire of Laulu-Miehet includes some of the material in the aforementioned Laulu-Miesten lauluja collections that was recorded for the first time ever on the disc Keinutan kaikua (Rocking my echo), released in 2001. In 2003, the choir released a disc of sacred repertoire entitled Särkyneille (To the broken ones). A disc of music by composers Taneli and Ilkka Kuusisto, father and son, entitled Kuusisto, was released for the choir’s 95th anniversary celebrations in 2009. Following this, a compilation of favourites from the traditional Laulu-Miehet Christmas concerts was released in 2010. Laulu-Miehet regularly give concerts in their home city of Helsinki and tour Finland every autumn and spring. The traditional Christmas concerts and the Varaslähtö Vappuun event (Early start to May Day) have become regular features in the Helsinki concert calendar. The choir has also toured abroad in Bulgaria, Poland, Austria, Hungary, Sweden, Estonia, Latvia, Lithuania, Belgium, the Netherlands, Germany, Thailand, Spain and Japan. 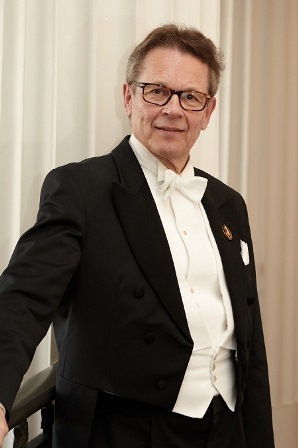 Laulu-Miehet have numbered several distinguished names among their conductors, including Heikki Klemetti, Martti Turunen, Ensti Pohjola and current conductor Matti Hyökki. Professor Matti Hyökki was invited to conduct Laulu-Miehet in autumn 1998. He began his musical studies playing the piano at the Junior Department of the Sibelius Academy at the age of nine. He subsequently completed a church musician’s degree and a music teacher’s degree, and later an artistically oriented doctorate in music focusing on choral music. He has extensive experience in conducting male, mixed and children’s choirs. He was Artistic Director of the Helsinki University Chorus (now the YL Male Choir) from 1980 to 2010 and has been Lecturer (later Professor) in Choral Conducting at the Sibelius Academy since 1982. He was also the Chorus Master of the Finnish National Opera from 1992 to 1995 and conductor of the Klemetti Institute Chamber Choir from 1992 to 2004. In 2008, he was appointed Artistic Director of the Savonlinna Opera Festival Choir. Hyökki has given numerous well-received workshops with his choirs at international events for choral professionals. He is also much in demand as a jury member in international choral competitions.